Musokan Hong Kong 無双館 香港道場 seeks to foster the development of the mind. We believe the road to victory is better achieved without the use of force; to win people over through our own proper behaviour rather than the show of strength to bring people to submission. Musokan Hong Kong 無双館 香港道場 offers the alternative path to self-betterment. I am Kevin Wong, the instructor at Musokan Hong Kong. Our school is a relatively new one, formally established 2017. Even though I have been teaching this at another dojo for over four years. As the name of the dojo suggests, we are a school that teaches Musojikiden Eishin-Ryu (無双直伝英信流). Our school is different from many other Koryu Iaido (古流居合道) and even amongst other schools that teach Musojikiden Eishin-Ryu (無双直伝英信流). As we emphasise on a more powerful style. Power does not come from simple brute strength. Our belief is that each movement must have a purpose, each purpose must carry an intent and each intended action must be carried out with determination. With this, each strike, each step, each breath one takes will emanate confidence and thus true strength. I began practising Iaido over two decades ago while I lived in Tokyo. I trained under Yamato Ryumon (大和龍門) who is affectionately known as “Shisho” by all that know him. Over the last twenty plus years, Shishō has been very strict, but encouraging. The Iai that he advocates is one that isn’t just a series of movements, but one that is strong. 「先ずは，斬れる居合、強い居合！」 However, it was not just martial arts that I learned from Shisho but life itself. 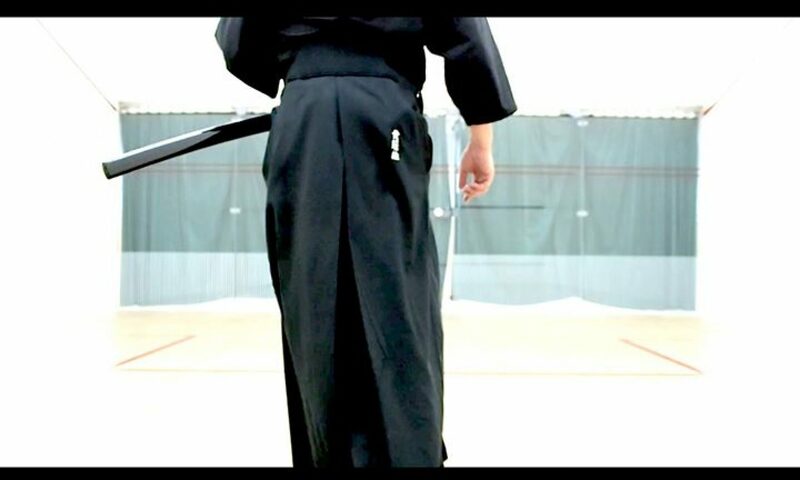 Iaido isn’t a mythical skill, nor is there any hidden profound philosophical meaning. It was a skill for survival. No one carries a sword in today’s society, this ancient martial art is really something to preserve the past. What we make of it is up to us. To me, it is a reminder that nothing is impossible, and perseverance prevails. Certain amount of obsessive behaviour exists in all those who practice Iaido, in that we strive to do it better, smoother, faster and stronger. Knowing it is a skill we cannot use in real life, we persist to attain perfection. Being a Fifth Dan Instructor (指導者), I was instructed to establish my own school here in Hong Kong. The goal of this school is more than teaching Japanese sword skills, perhaps I will be able to help you find your own meaning in Iaido someday as I have.